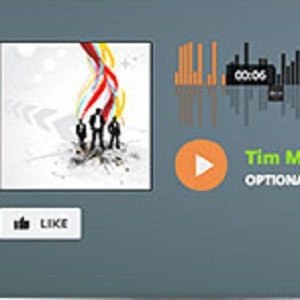 Want a nifty, cutting-edge, retina-ready, responsive html5 audio player for your site ? ZoomSounds is the perfect candidate. 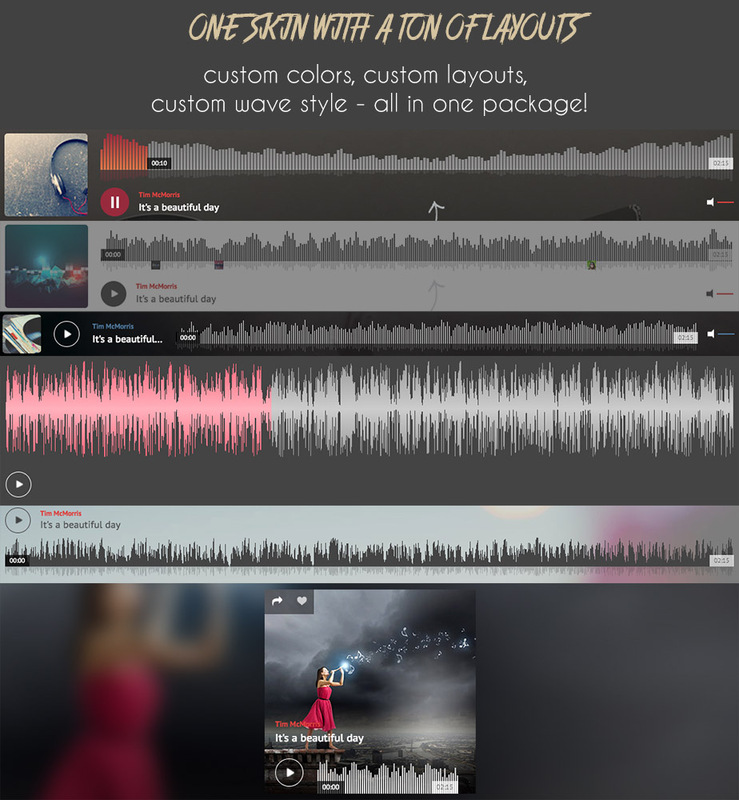 With nine skins to fit every brand, multiple layout for the wave skin, only one format required to function, ZoomSounds is the perfect choice for an audio player. 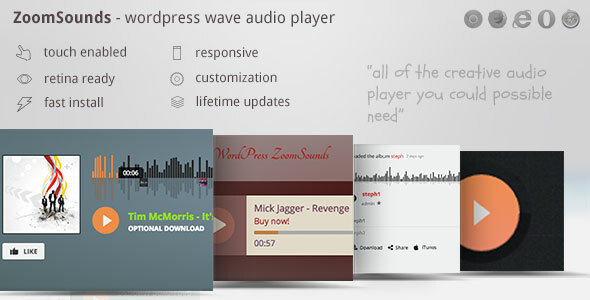 Supports self hosted mp3 / m4a / wav, and mp3 shoutcast radio stations. 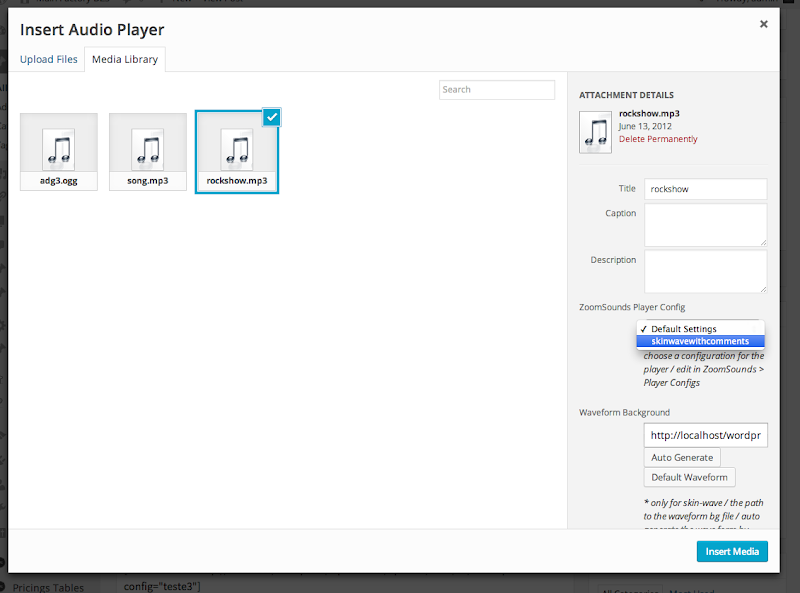 You can also embed SoundCloud songs just by inputing their link in the shortcode generator – that easy IF YOU HAVE A API KEY. 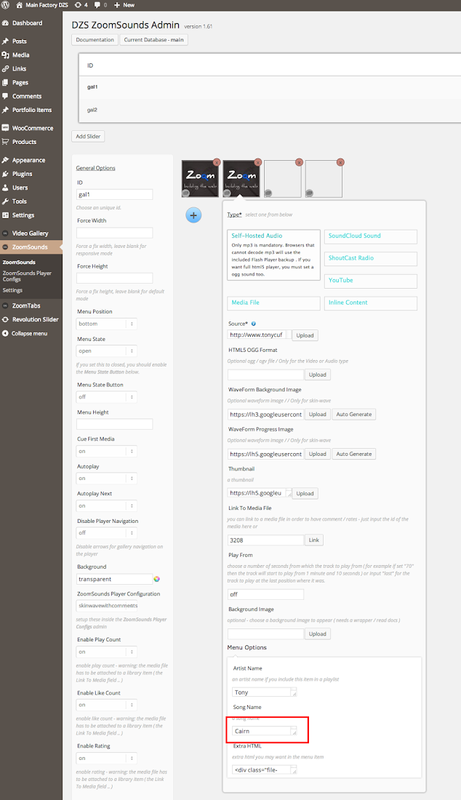 You just need a soundcloud account and api key ( registrations are now closed ) .